Since starting Sweet Whimsy Photography in 2015 I’ve learned a thing or two about what make a good family portrait. Based on the questions I have been asked and the things I have seen I’ve written blog posts to help you prepare for your session. 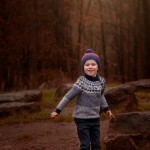 Here, I’ve linked all the blog posts I’ve written on preparing for your family photoshoot. 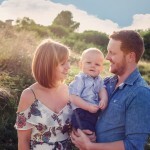 Family Photography – What’s Stopping You? It feels like Spring has truly arrived in the UK! After sledging in March and blasting the heating through most of April, we deserve a few lovely sunny days. I guess it’s probably too early to proclaim the arrival of summer, but I don’t think I’ll be the only one off to the garden centre this weekend to brighten up the garden. 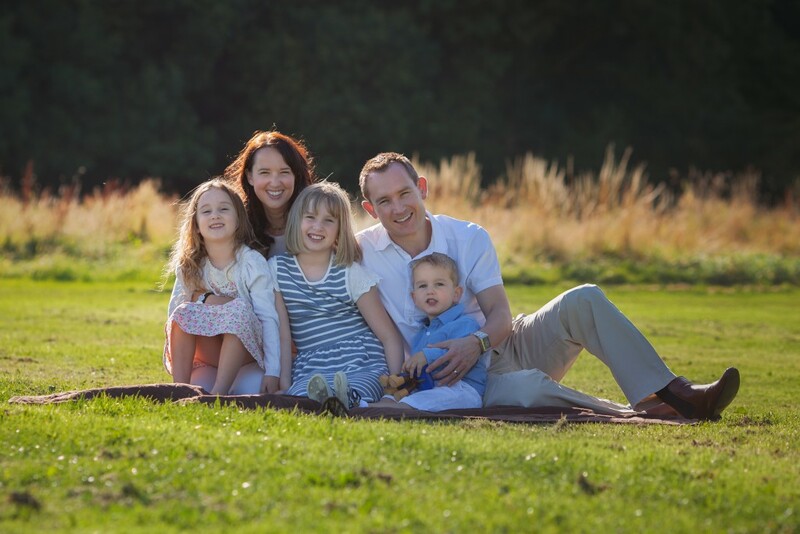 With this lovely sunshine it’s time to arrange a family outdoor photoshoot. Imagine a session where you don’t have to worry about bulky coats the the photos. 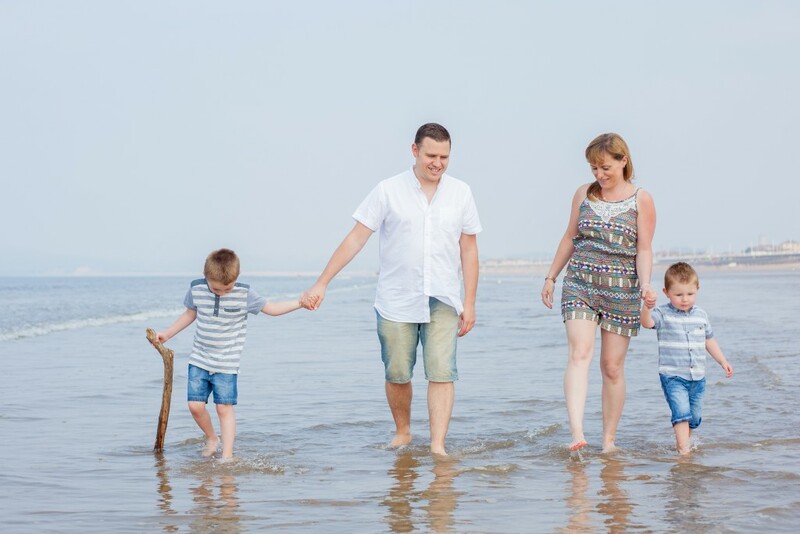 A session where the kids can run on the beach, or play hide and seek in the long grass. You’ll be tanned and relaxed from your holiday, and of course the sunshine makes everyone feel better. Sound too good to be true? If you have ever had a studio session with young children you know how hard it is to get them to sit still. You may have felt stressed because they didn’t behave like you hoped they would. 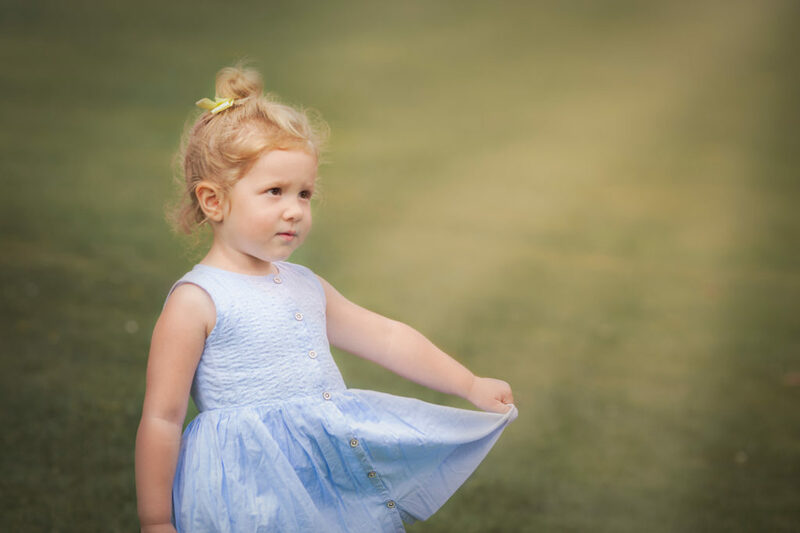 At a family outdoor photoshoot, I focus on allowing children to run around and play. That way I get natural expressions and you don’t have to worry. 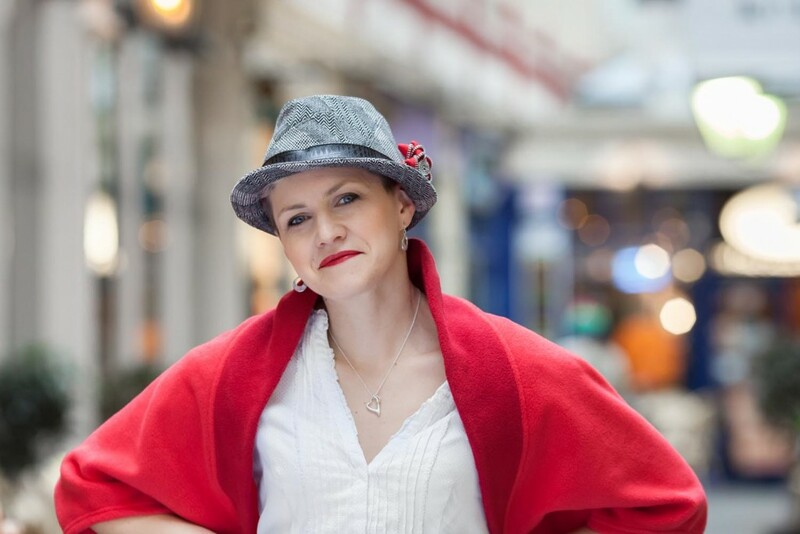 I aim to make your session feel like a fun day out. As you know, summer can get busy. Holidays, weekend breaks, visits to friends. Before you know it, your weekends are all booked up. 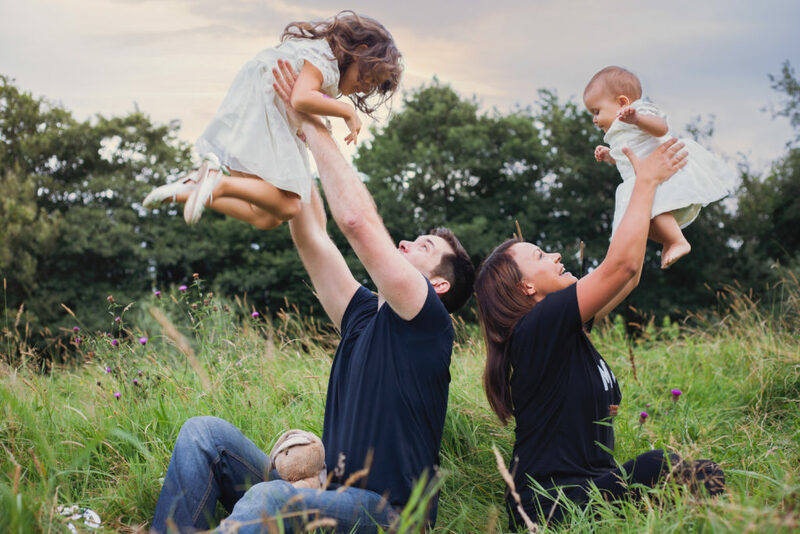 That’s why it’s so important to get your family outdoor photoshoot booked in now, so that you have space for it when things get busy. Book your session now by sending me a quick message, and it’s one thing checked off your to do list. Then, when summer’s over, you’ll have a beautiful reminder of the fun you had. Don’t leave it until next year. Next year your babies will be so much bigger. Capture the memories now. I truly believe family photos are important. Not just phone photos that only go on Facebook, but gorgeous, printed artwork that you can proudly display in your home. 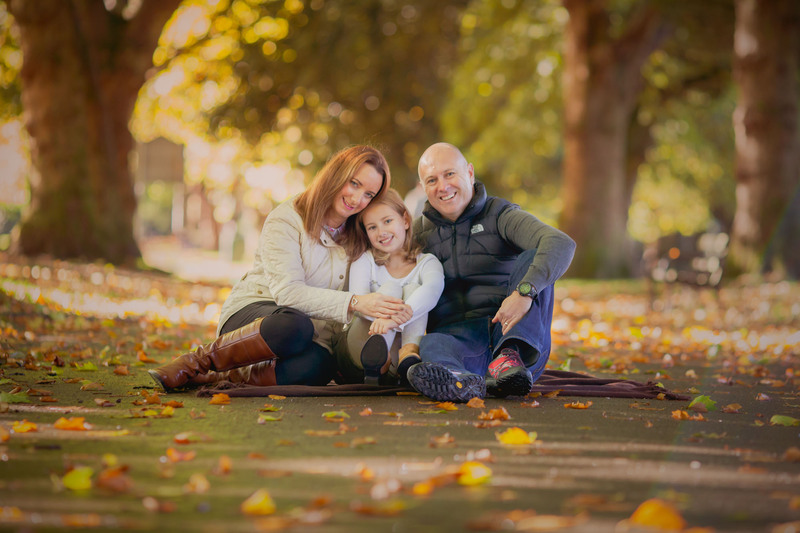 That’s why I’m offering 40% off family outdoor photoshoots booked before Sunday May 6th. You don’t need to have your session by then, just pay the desposit. Plus, you’ll also get 20% off collections and high resolution digital images. I only have a limited number of sessions available so contact me now to save your summer memories. Regularly sharing insight into your business is important for getting potential customers to know, like and trust you, so unless you have the budget to hire a photographer to follow you round every day, chances are you will need to take your own photos sometimes, even if you hire a professional for the main images. Lighting is key to taking good images with your phone. 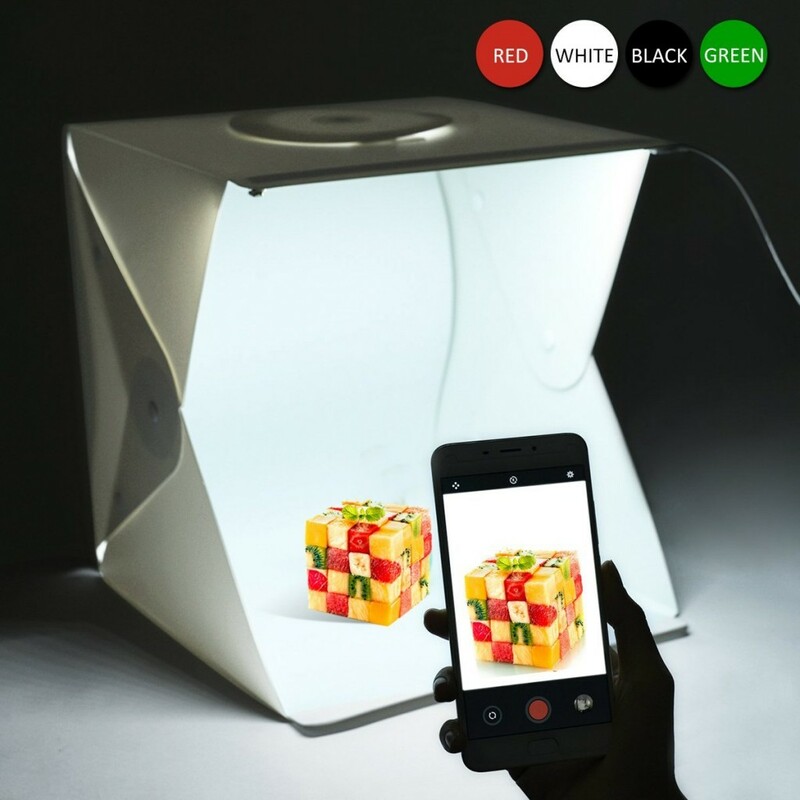 All camera’s need light to make an image, and since phones are so much smaller than professional cameras, they can’t capture as much light. This means that if you try to take a photo in a dark environment, your phone will try to compensate for the lack of light, and you will end up with blurry, grainy images. 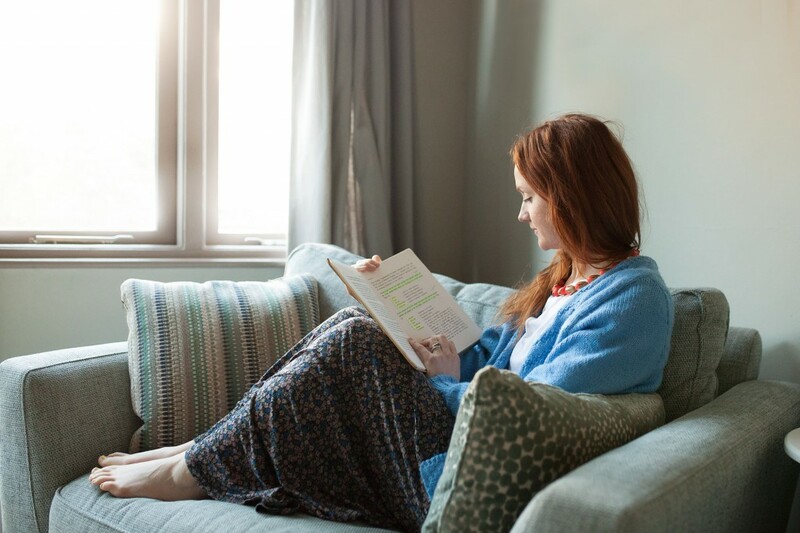 Natural light is much more powerful than normal indoor lights. Use it indoors by photographing next to a window. Place your subject next to a window. Look at the shadows. If it is a sunny day and the shadows are very defined, the lighting is harsh. 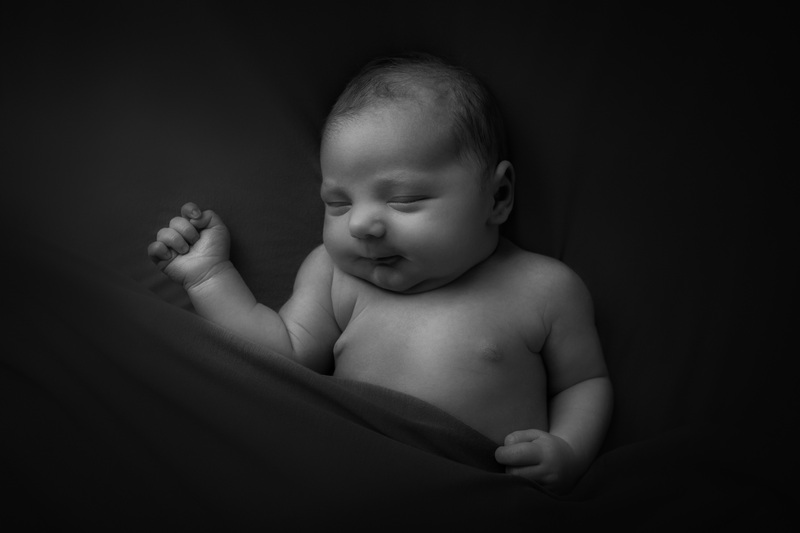 move your subject a little further from the light, or diffuse the light, for example using a net curtain. Use a reflector on the other side of your subject. A reflector is just something big and white which will bounce some of the window light back onto your subject, to make the light more even. 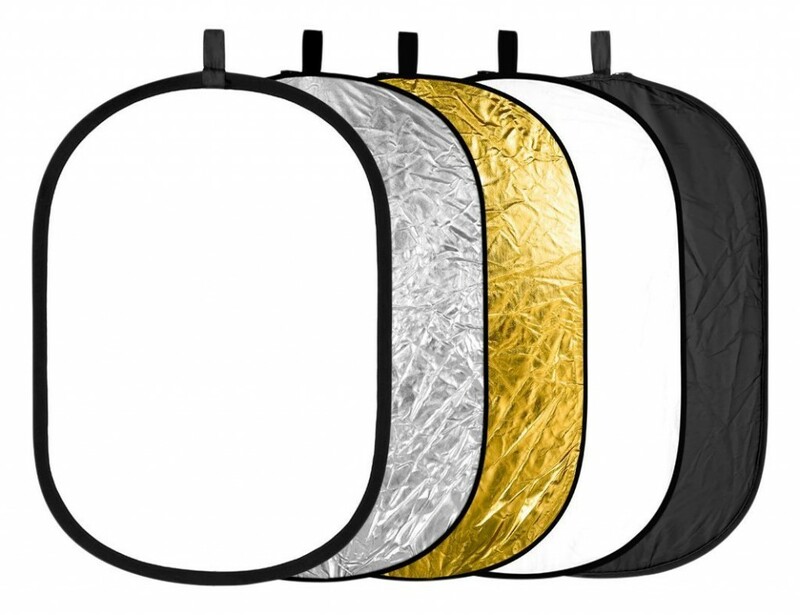 You can purchase reflectors from Amazon for around £10 to £20. You can also use a large foamboard from a craft store. 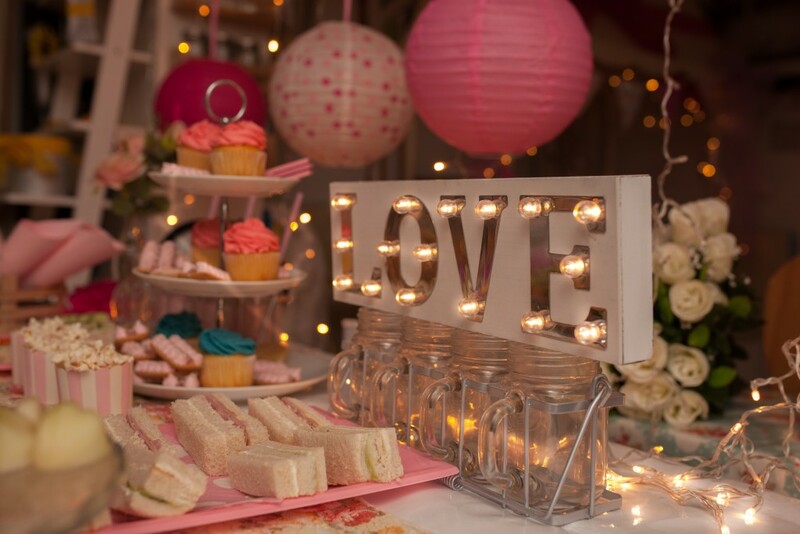 This is great because it doubles up as a backdrop or surface for your product as well. 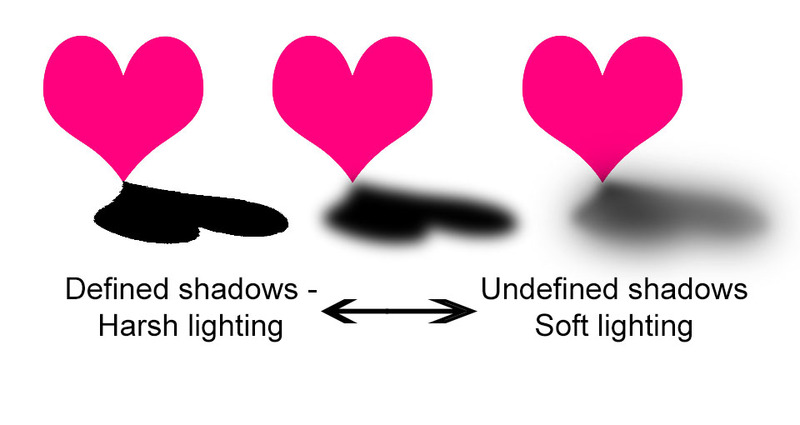 Anything white will do, the larger the better as the bigger the surface, the more light will be reflected. In the past I have used a white sheet hung over a clothes dryer. If the window lighting is not sufficient, open the front door and place your items just inside. If you are photographing small items, a light tent is perfect. These are small, portable boxes made up of white material that soften the lighting. Some are pre-lit and others can be lit with lamps fitted with daylight bulbs. 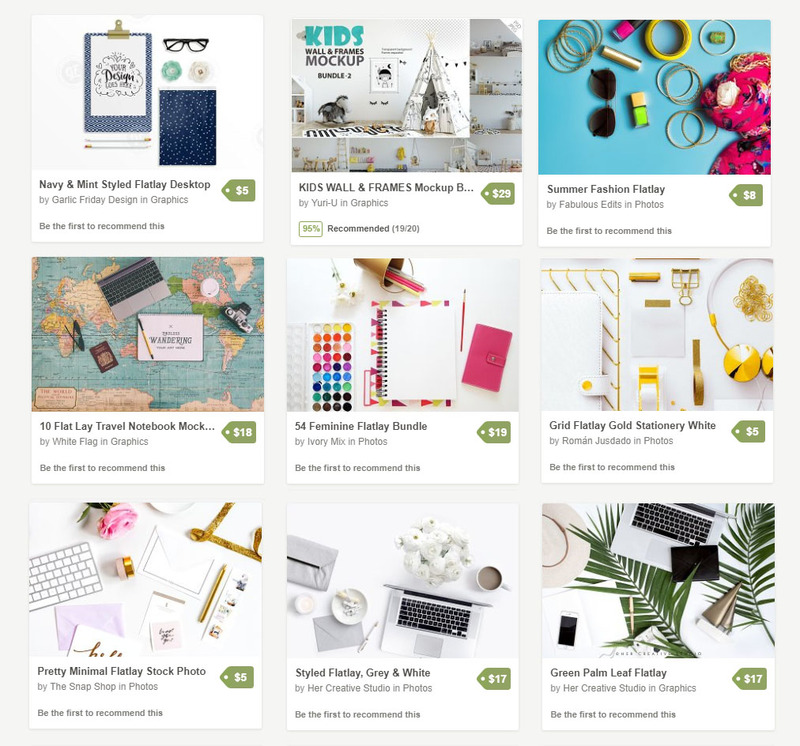 Flat lay photography, simply laying out items and photographing them from above, has been popular with bloggers and small businesses for a while. It’s popular because it’s perfect for small scale, mobile phone photography. Firstly, you don’t need to worry about distracting elements in the background (so you don’t have to put away the laundry!). Secondly, it doesn’t matter if you are using a phone or a dSLR. Professional cameras can selectively focus on an item and make other items blurry, mobile phone cameras can’t (at least, not to the same extent). with flatlays it doesn’t matter. All the items are in focus. Flaylays shouldn’t be the only style of photography you use, but they are useful in social media for helping people connect with your product or service. E.g. a pretty planner, jam packed with appointments, would resonate with a busy mum. This works great for service providers too. Think about what sort of items would resonate with your ideal client. Flatlays can be purchased from Etsy or Creative Market. Just search flatlay or mockup. You can even get a limited number of styles free from stock photography sites such as Pexels. If you’ve purchased a mock-up and you need to add your image, a graphic designer or photo editor will be able to do this for you. Contact me if you need help with this. If you have a service, you still need to have images. Images allow potential clients to get to know you and your business. If you have a service based business or sell products that re harder to photograph e.g. clothes, I recommend hiring a professional photographer who can work with you to create a bank of images for you to use across your website and social media platforms. If you don’t have a products, here are some examples of the type of images you can post. The images you post should fit in with your content plan to help potential clients know, like and trust you. So post a mix of images. Post tips to be seen as an expert and post personal images so people can get to know you. 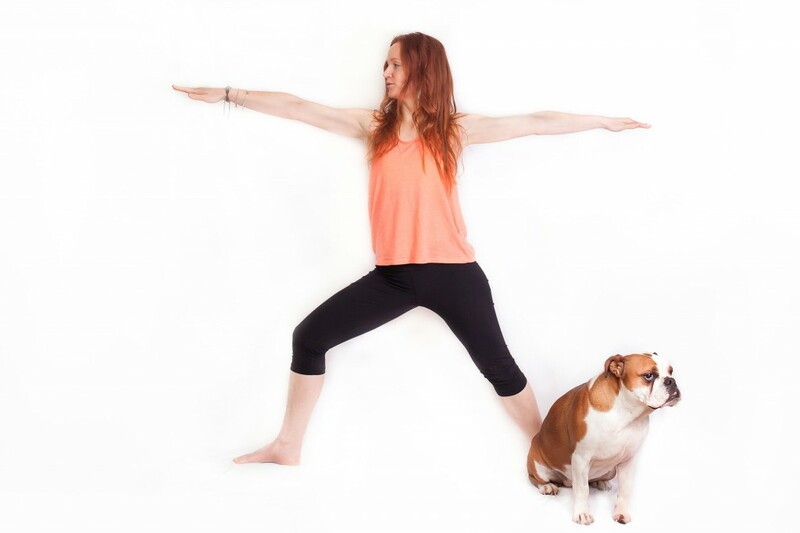 For example, Lucy is a yoga teacher. For her personal branding session, we did some yoga poses for her website, but we also did some more lifestyle images for her to use on social media, such as the image below of her studying. Instagram is a great way to connect with potential customers, personally I find engagement is better on Instagram as you can follow your customers back and make a community. Images are key on Instagram. Quotes are great but they should be mixed with images. When posting to Instagram, consider the layout of your photos. People who like your images will visit your profile, and if it is consistent they are more likely to follow you and engage with your brand. There are tools you can use to layout your photos before you post, so you can see how they work as a grid. Later.com always you to schedule your posts, and has a preview function you can use to see how your images work together. It’s free to schedule up to 30 posts a month. Plann is designed with visuals in mind. It lets you drag and drop your images into a layout that’s pleasing. It’s also free for up to 30 posts a month, but for a few pounds a month more you can have unlimited posts and access to helpful analytics. Do they have consistently good photography? I’ve put this one top because obviously if you want to reuse their photos they need to be good. They need to be well lit, a pleasing composition and a style that matches your own. Are they willing to give you the high resolution images as part of the agreement? It’s easy to repost a photo they took on your Instagram using an app like Instagetter, but Instagram images are low resolution, so if you want to use their images on your website or printed materials, be sure to confirm this in the agreement before you deliver products or services. Consider having a contract in place. 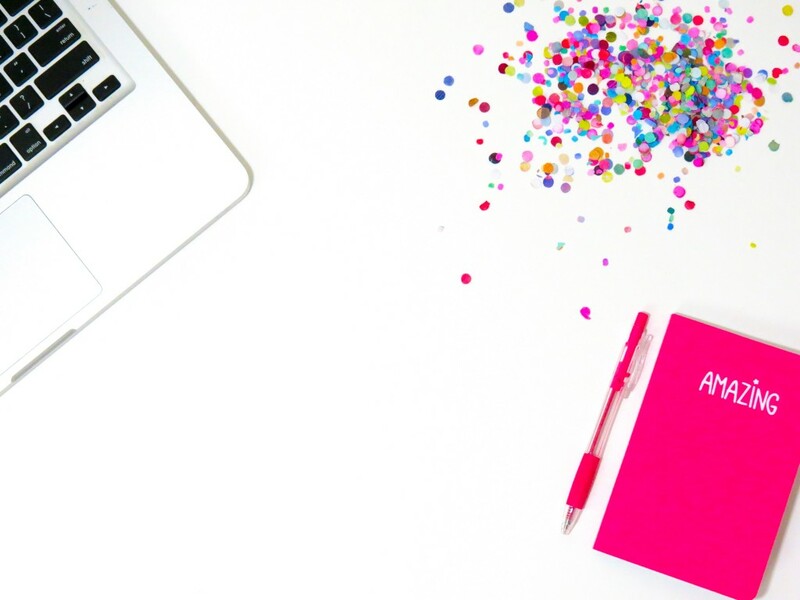 You can get a free template from Influencer Marketing Hub. N.B. – You need high resolution images from the influencer and permission to use them, you DO NOT need them to give you the copyright, Copyright usually stays with the photographer and will not affect you unless you try to sell the images. Does their feed fit with the look you are trying to achieve? This includes what sort of lifestyle they have, other companies they work with and the style of their editing. For example, if you have a range of modern, monochrome clothing for stylish children, then an influencer who regularly posts pictures of her child’s scandi-chic netural nursery will fit perfectly. Do they shoot with a mobile phone or a dSLR? If you just want to re-post their images on your social media and share a few on your website, a mobile will be fine. However, if you want the images to be more high profile, e.g. larger images on your website, promotional materials then ensure they take the images with a professional camera. Do they have an engaged following – huge follower numbers don’t mean anything. They could be bots or the influencers could have used shady follow/unfollow techniques to gain follows. What’s important is that people engage with their content. Does they content have lots of comments. What are people talking about in the comments? I’ve put stock photography at the bottom because I think it’s important for your images to show you and your business. 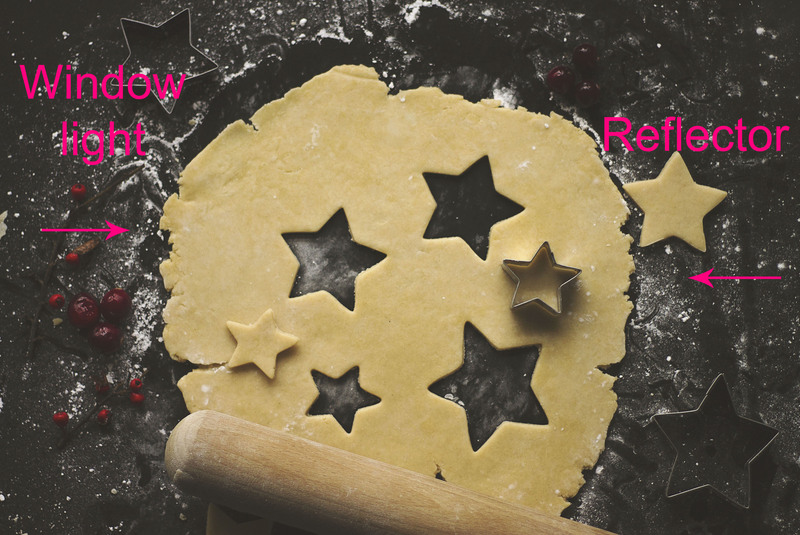 Stock photos are not going to help customers know, like and trust you. Feel free to use them, but make sure they are the minority and that most images are personal to you. Ensure you have the rights to use any images. It’s not good business karma to screenshot images you like. It’s also polite to credit and link back to the photographer, even if you are not required to do so. Pexels has a wide range of free stock photography that you can use commercially. If you are looking for something a little bit different from standard stock photography, check out Unsplash.com. 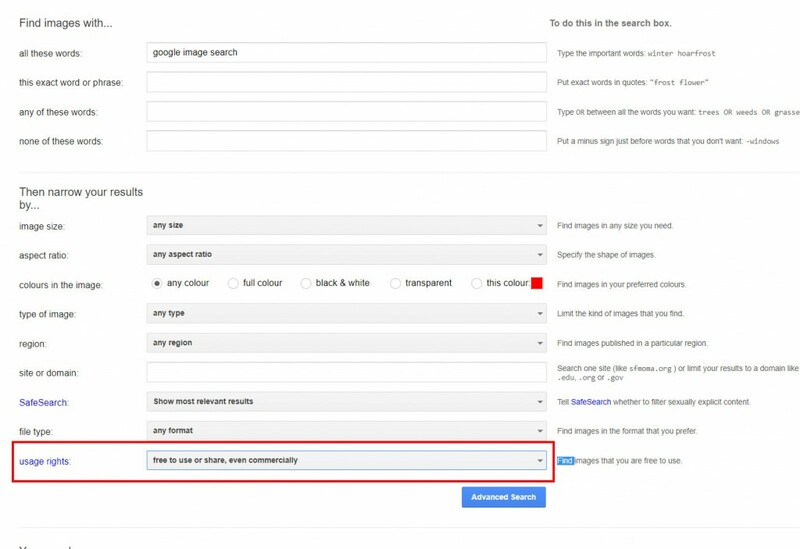 If you are searching for images on Google Image, go to advanced search and choose the option for images that are free to use commercially. Even then, check to see if the image requires a photographer credit. Great images are important to your business. Ensure they are well lit with a consistent style, whether you are taking them yourself, hiring a professional or using a brand rep. But this doesn’t mean you have to pretend to be perfect in all of your images. Sure, there are some gorgeous feeds out there that we’d all like to emulate, but showing that you are human will make people connect with you. You don’t have to air all your dirty laundry, but allowing people to see the real person behind the business can build trust. For example, I heard marketer Jenna Kutcher on a podcast and she had some good ideas so I Googled her. At first she could have been another one of the million coaches that pop up on a my Facebook feed promising 6 figures in 6 minutes. These coaches always have perfectly curated Instagram feeds of them drinking stylish drinks on tropical beaches, yawn! I checked her out and I was pleasantly surprised to see that along with the beach pics and curated flatlays there were photos of her curvy body, where she talked about struggling with body confidence, and honest conversations about her baby loss. I scroll past 99% of the lead magnets on my Facebook feed, but not hers. In showing a little vulnerability she helped me connect with her, and I’m far more likely to become a client of hers than if I just saw how perfect her desk looks. 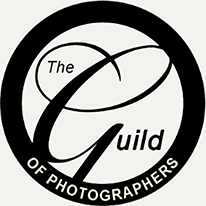 If you are interested in learning more about professional photography for your business, drop me a line and we can have a chat. 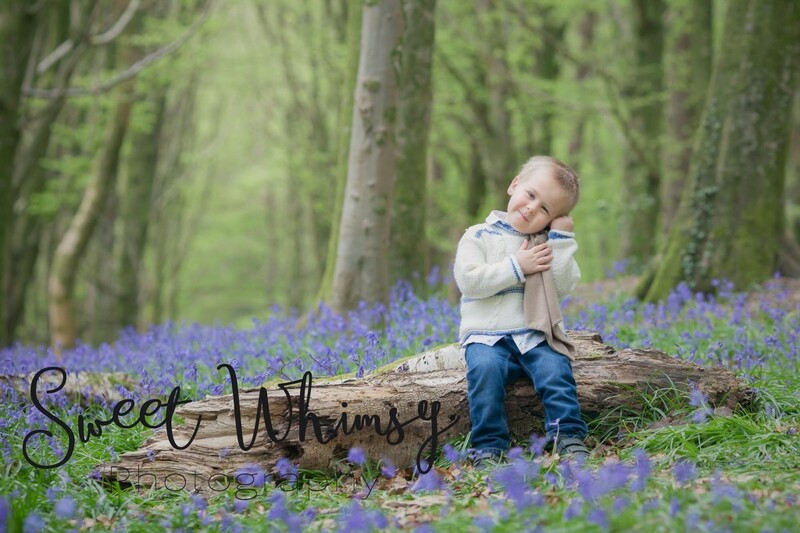 Yesterday I shared a dressy look for a portrait session in the bluebells. Today’s look is more laid back, which casual outfits in soft Spring colours. 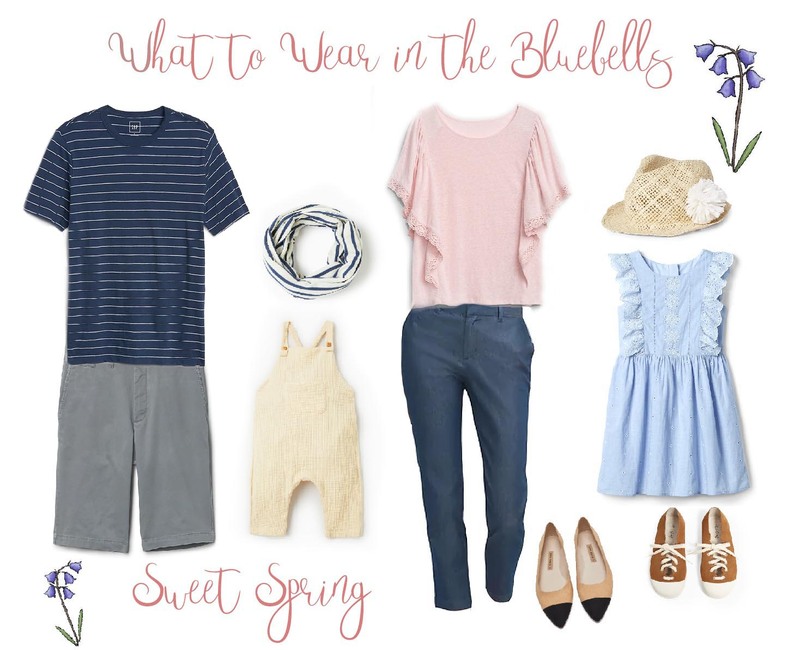 This look is quite summery, so you may want to bring some layers in case it turns cold. 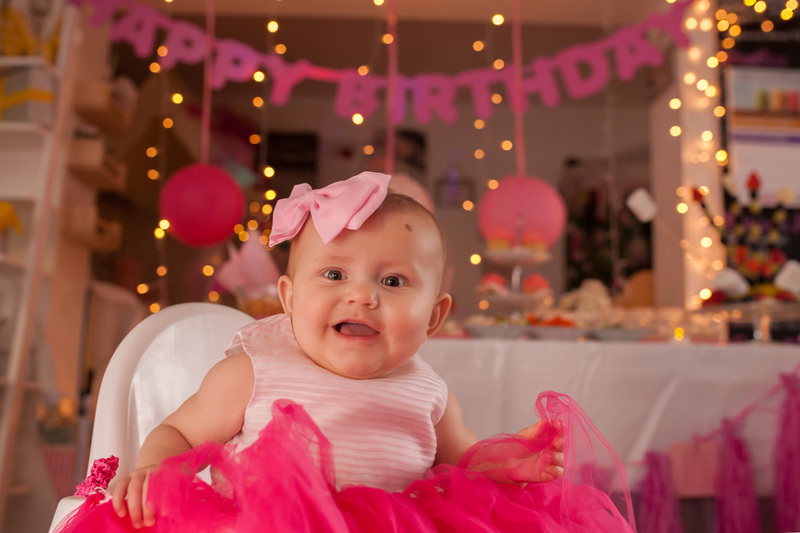 Now that you’re all dressed up, lets get your session booked! 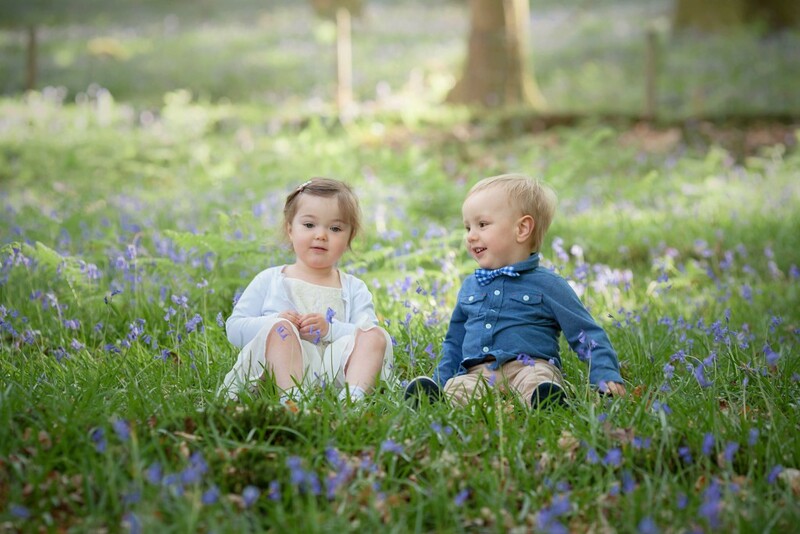 45 minute bluebell mini sessions are only £25 (but very limited availability). Head over to this post for more details or contact me now to save your space. 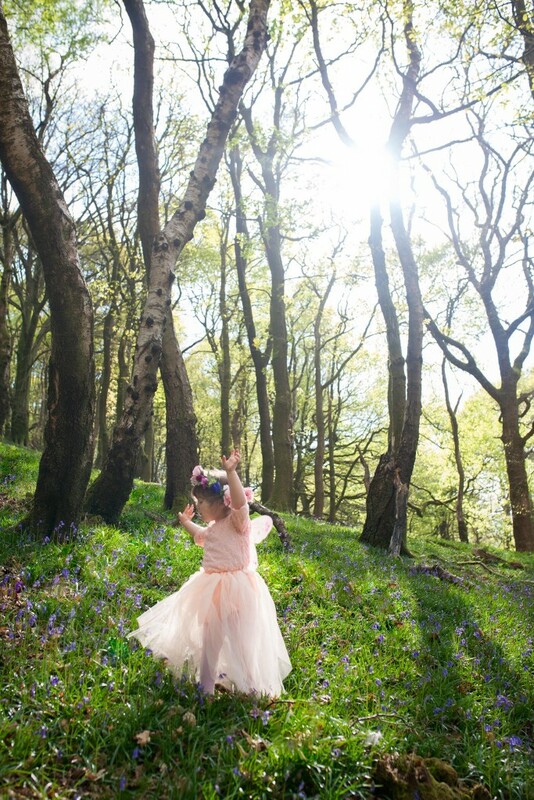 Yesterday I posted an article about what to wear for a bluebell portrait session. Today, I’m sharing some outfit inspiration for you. For this look I’m going for something a bit more formal and fancy. It’s not traditional to go glam in the woodlands, but since the flowers are putting on such a show, why not join them for a bit of sparkle. 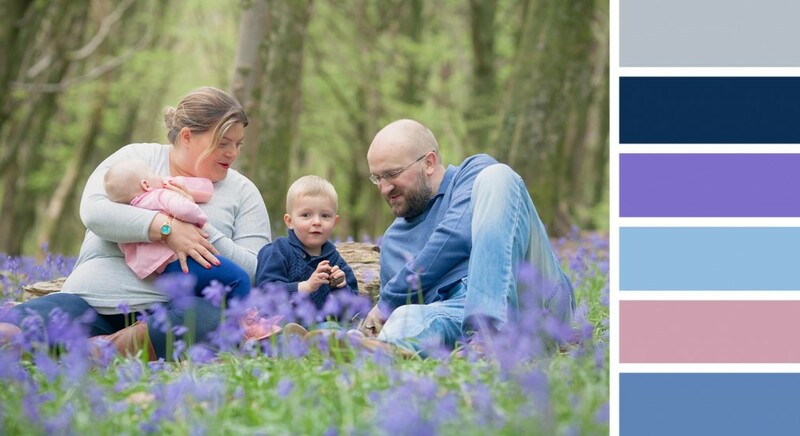 If you’re planning on having portraits taken in the bluebells this year (and you should, they are on special offer!) choosing your outfits is key to getting great results. Clothing can make or break an image, so here are a few tips to bear in mind when preparing for your session. The bluebells give a strong pop of colour, they are the showstoppers, so choosing colours that fit well will make the image cohesive. Think soft , Spring shades like dusky blues and pinks, greys and neutrals. Navy looks great with this colour pallet, and is much more flattering than black. Remember, we’ll be in a forest in the Spring. It’s likely to be at least a little muddy. Also, the woodland is on a slope so can be slippery, so choose sturdy footwear with a good grip. Put the children in something that you don’t mind getting muddy. Kids will be kids and will find any time patch of mud. Wellies look super cute on children, even which dressy clothes. Your feet will mostly be out of view in the images, but you can also bring some shoes to change into for when we are sitting down. Springtime in Wales can be unpredictable. Sometimes it can be warm in the sunshine but chilly in the woods. Bring some warmer clothing to keep chills at bay. Avoid clothing with big logos or patterns which can distract from the people in the image. Stay clear of very dark clothing and very bright colours. Avoid too much green as you don’t want to blend in with the forest. Less is more, but one or two carefully chosen accessories can add character to an image. Add a fun twist with braces and bow ties, flower crowns or hats. 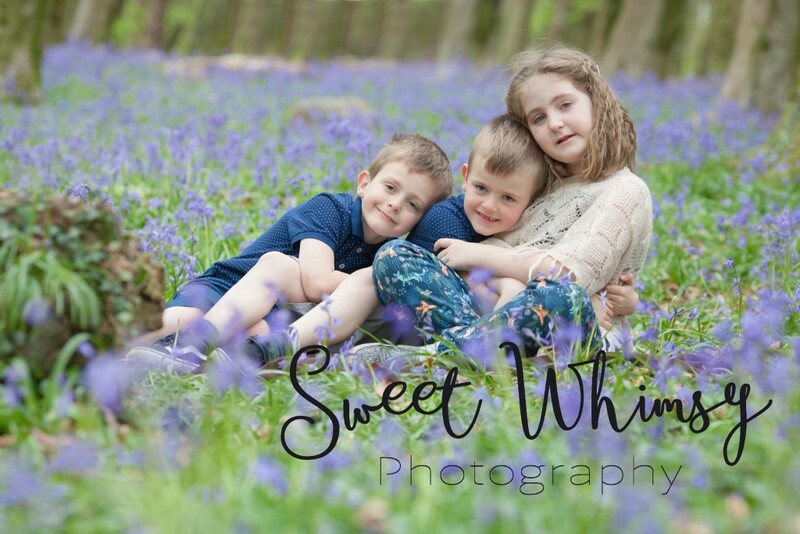 The bluebells don’t have to be about traditional family portraits. It’s the perfect time for something more magical. 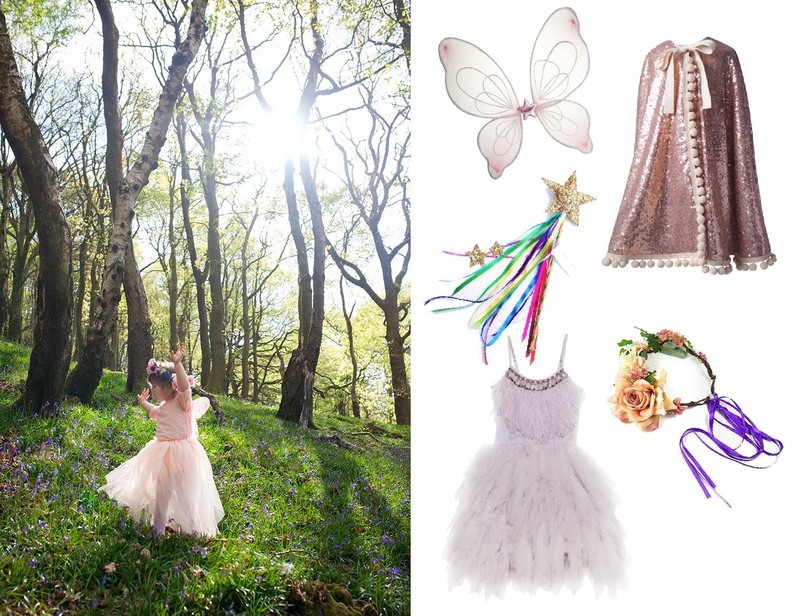 How about fairies dancing in the flowers? All dressed up and ready for your Bluebells Portrait Session? 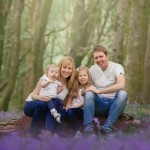 I have a limited number of bluebell mini sessions available from only £25. Contact me now to book yours. 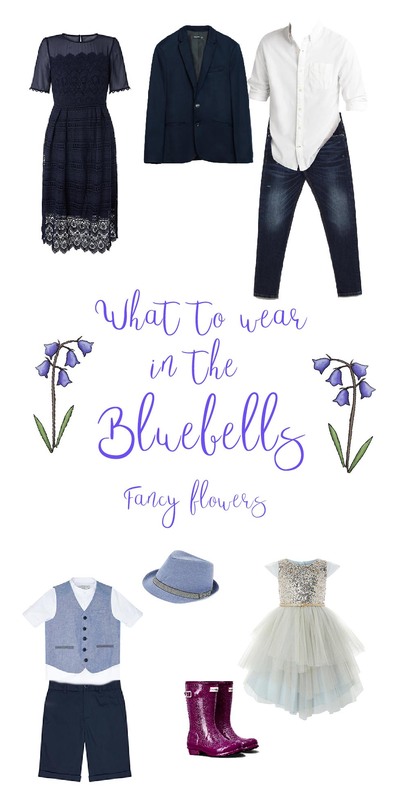 Next week I’ll be sharing some outfit inspiration from the high street for your Bluebell session (a perfectly valid excuse reason to go shopping!). 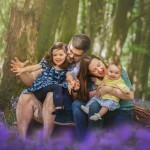 Bluebell Photography Sessions are Here! Wow! I can’t believe it’s almost been a whole year since last years bluebell sessions. 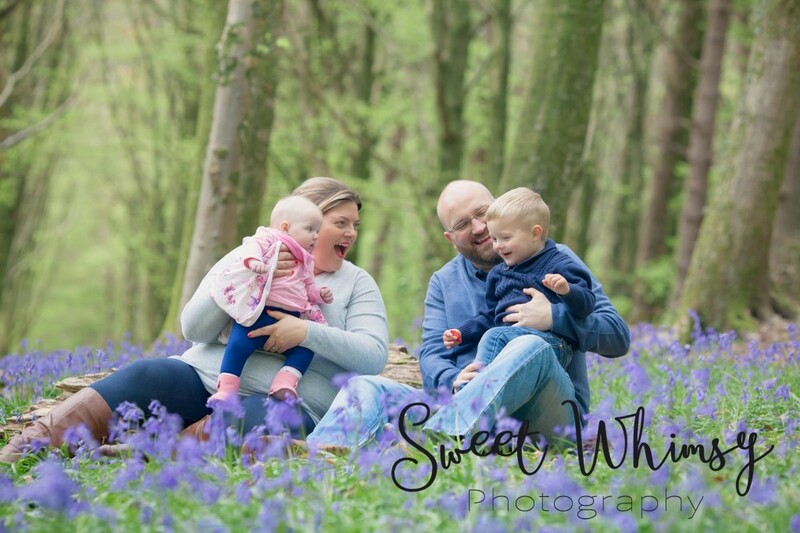 The bluebells are one of my favourite times for family portraits. The woodland is so unbelievably beautiful during this time of the year. It looks like a movie set. 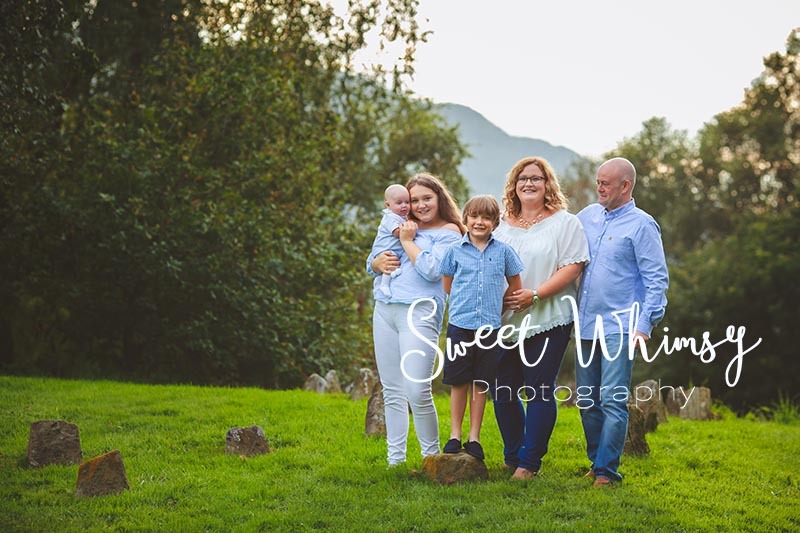 It’s also a time when the weather is getting warmer and the nights are drawing out, so it’s a perfect time to get outside with the family and update your portraits. The bluebell season is only a few weeks long so I only have a limited number of sessions available. I have 5 mini-session spaces available at a special price. Or buy individual products from the a La carte pricing menu and take 10% off standard pricing. I also have some availability in the evenings after school. Evening sessions are lovely because the light is so pretty, plus the woods will be quieter than on the weekends. One of the things I love about newborn photography is that I get to meet not just little babies but their lovely families too. I feel honoured that parents come to me with their new arrivals. It’s so lovely to chat to mums and dads, and to see them interact with their little one’s. 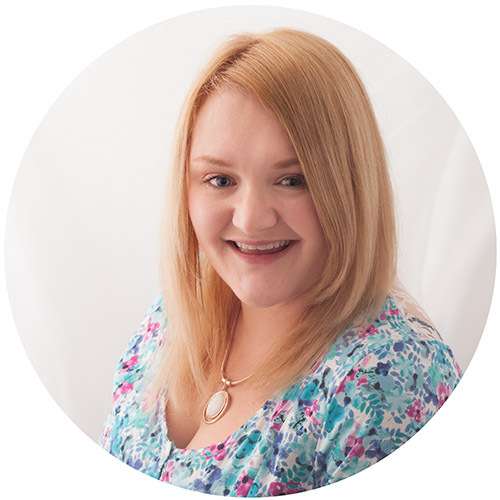 I already felt like I knew Charlotte, Alexander’s mummy, from her writing over at musingmum.co.uk. Charlotte’s funny, refreshingly honest writing focuses on parenting, feminism and general equality. If you haven’t read her blog before, go check it out! Alexander was a pleasure to photograph. 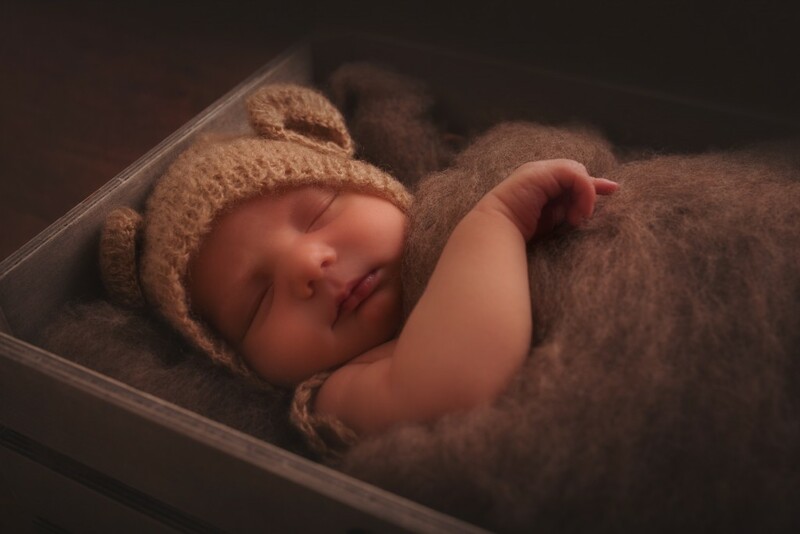 When thinking about having a newborn photography session, some people worry their baby may not sleep, that not all baby’s are “good”. In truth, there is no such thing as a “good” baby. All babies cry, it’s how they communicate, and all babies are a different. It’s my job to help them get as comfortable as possible, so when they get sleepy they are ready to drift off. 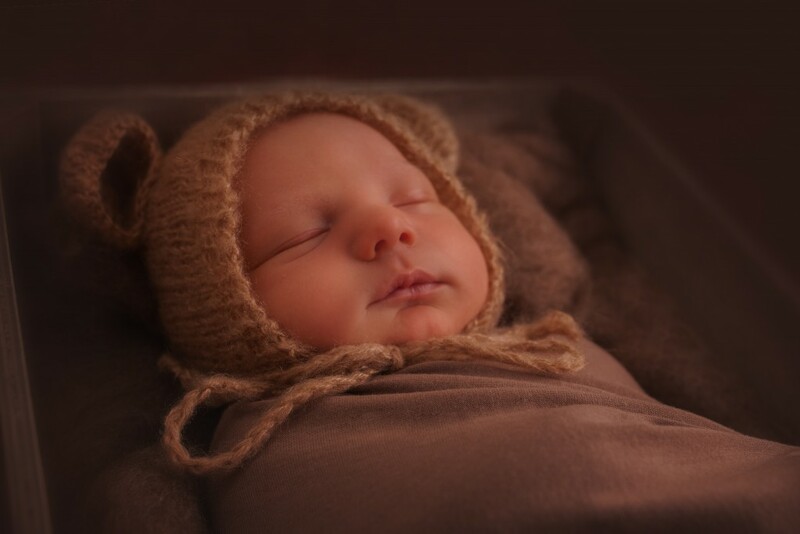 Alexander loved being swaddled in a wrap. 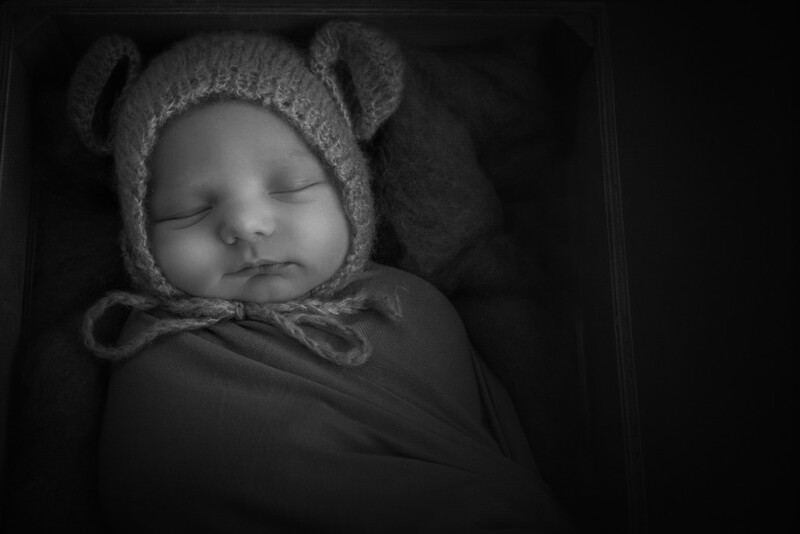 He had a lovely deep sleep safely tucked up in a little crate. He looked so snugly I didn’t want to move him. If you’d like to book your own newborn portrait session, contact me now to book your space. 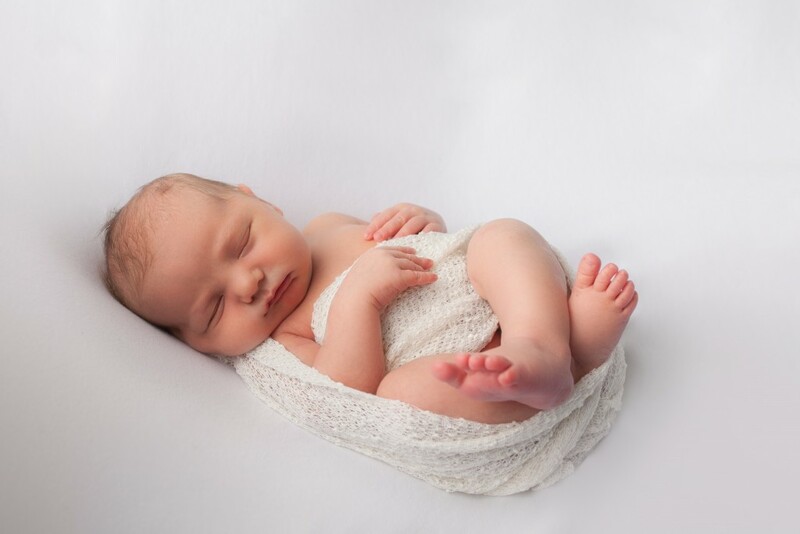 Newborn images need to be taken in the first two weeks after baby is born, therefore it is important to book when you are in your third trimester to ensure I have a space available to you. Unfortunately this event has been cancelled. 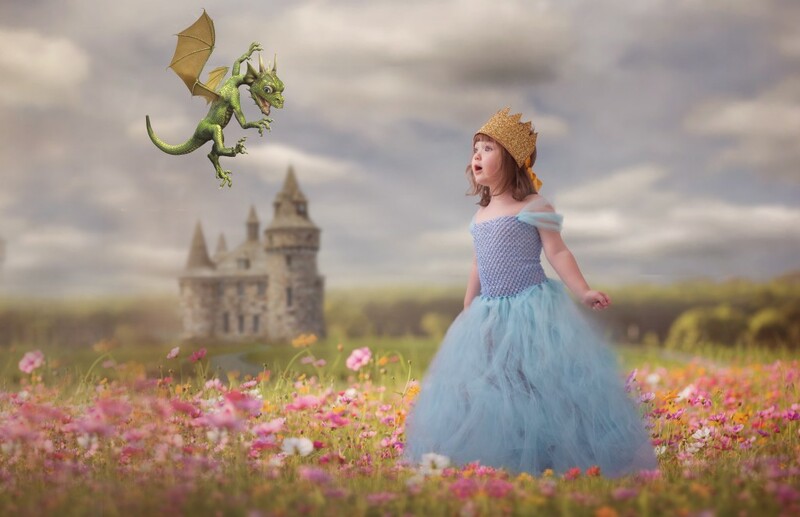 If you are interested in having a dragon portrait session or other magical session with Sweet Whimsy Photography, please contact me at hello@sweetwhimsyphotography.co.uk or click here. This event is suitable for children aged 4 and up. This is because children will need to be able to take some direction. I’m a grown-up but dragons are cool, can I attend without kids? Of course. Grown-ups are welcome to be photographed if they wish, however you will need to provide your own costume. Is this event suitable for wheelchair users? Due to the nature of the venue, we regret that this event is not suitable for wheelchairs. If you are interested in this event but require wheelchair access, please contact me so that I can arrange something for you, such as arranging a session at your home on another date. I have more than two children, can I book two consecutive sessions? Yes, if you have more than two children you can book two consecutive sessions if they are available. You must pay for both sessions, however you do not need to buy more than one collection as long as all children are from the same household (siblings, not cousins). My sister and I would both like sessions and we would like an image of our children together, is this possible? Of course, If you book two consecutive sessions I will make an image with them together. The image of the children together will be available in both galleries. Can my child bring their own costume? Costumes will be provided, however children are welcome to bring their own if they wish. Is this event just for boys? Not at all. Boys and girls are both welcome. The costumes provided will be Knights, which of course can be worn by girls and boys. If your child would prefer to dress as a Princess please let me know and I will ensure I have a costume in the correct size. How many adults are allowed in the session with the children? Due to the size of the room we can only allow a maximum of two adults in the session. I also have a baby, can I bring her to the session? Yes, you can bring a baby or an older child who is not participating. There is room to leave a pushchair at the bottom of the stairs (of course you can carry the baby upstairs to the studio). 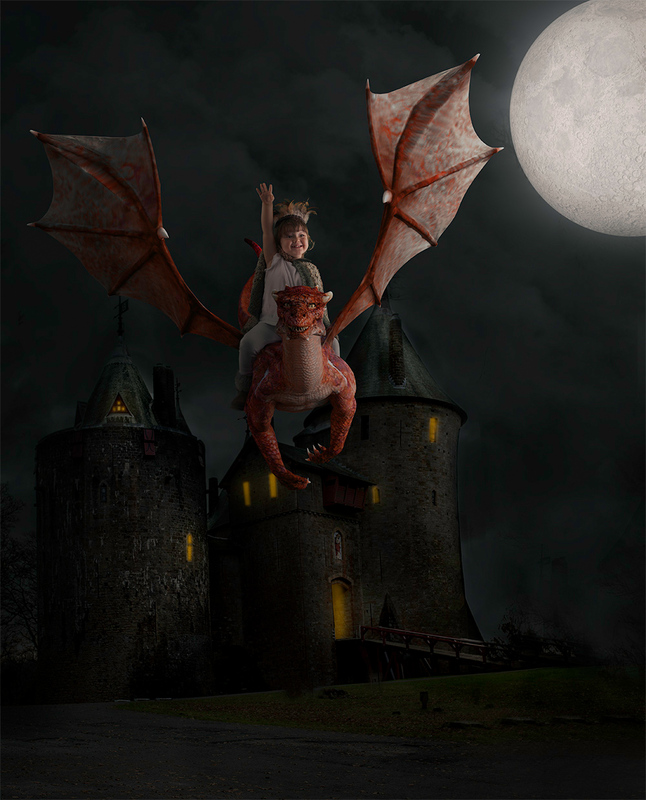 The £40 includes the session, hire of costumes and entrance to the Castle for one adult and one child. 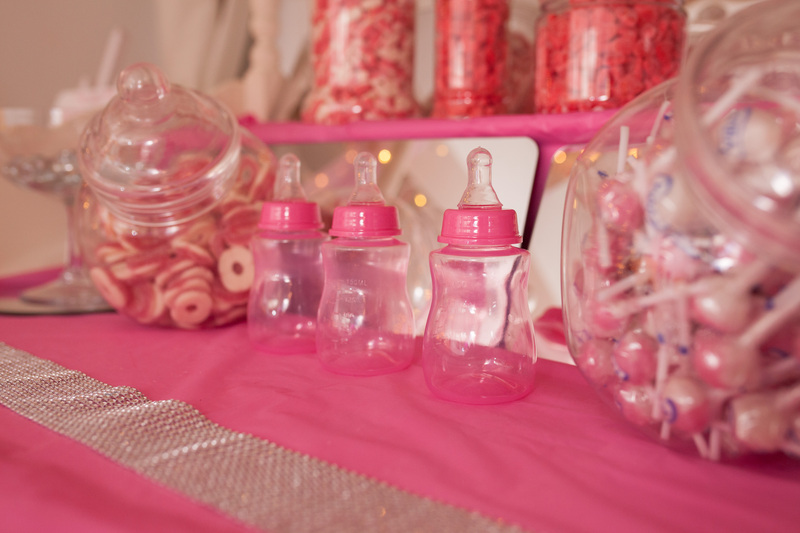 For two children, the price is £45.20 and includes additional Castle entrance for the second child. Can I buy additional images? Yes, we have a range of products available, such as various sized prints, wall art and albums. Details of products and pricing can be found here. How much are additional images? Additional images and products can be purchased as collections. Collections start at £95. 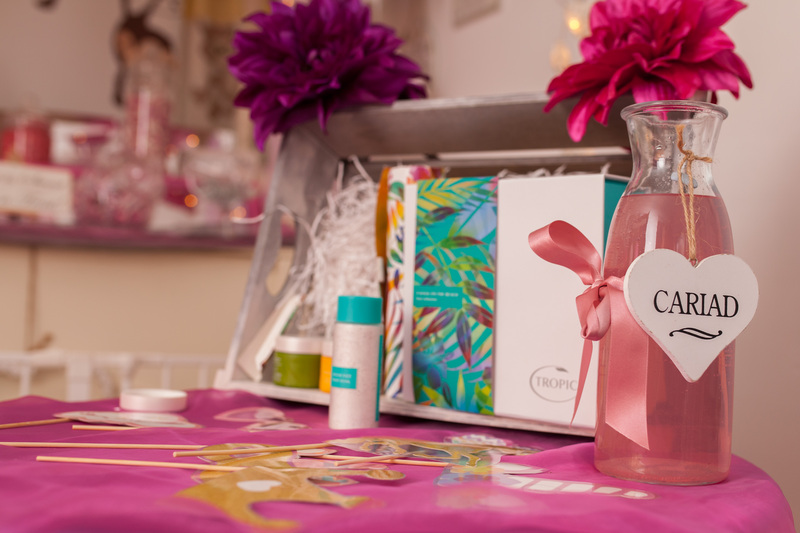 After you have chosen a collection you can then purchase additional products individually. All pricing can be found here. Do I have to buy additional images? 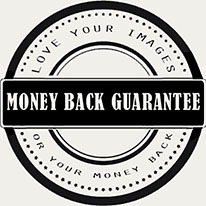 No, there is no obligation to purchase additional images, however most people can’t resist once they see the images. Do I need a ticket to enter the Castle? No, for the child having the photo shoot and the named grown up your names will be added to the guest list at the entrance. Can other adults and children who are not having their photo taken enter the castle? Yes, they can pay for Castle entrance at the door. Adult tickets are £7.95 and children are £5.20. Due to space restrictions only two adults may come to the portrait session, however others are welcome to roam the castle during the session. Is there parking at the castle? There is no parking at the castle however there is parking close by. Here is a link to car parking run by Caerphilly Council. If you cancel with 7 days notice of the event you will receive a full refund. 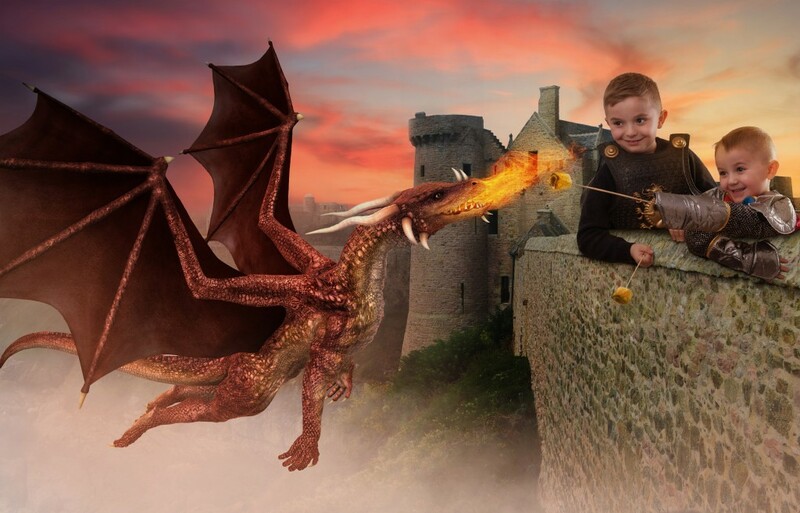 After the 7 days only the castle entrance will be refunded (£13.15 for one child and one adult, £18.35 for one adult and two children). If you are unable to attend you may give your space to a friend. Please ensure they they contact me so that I can add their details to the guest list. You can pay by PayPal, credit card or debit card. Payments are taken via PayPal’s secure payment server. You do not need a PayPal account to pay. No, you do not need a Paypal account, you can pay by Credit or Debit Card. The session is 45 minutes long. 15 minutes to choose your costume and dress and 30 minutes for images. Please ensure you arrive on time to make the most of your time. Due to the busy schedule it will not be possible to extend the session time. Will there be pretend dragons at the session? 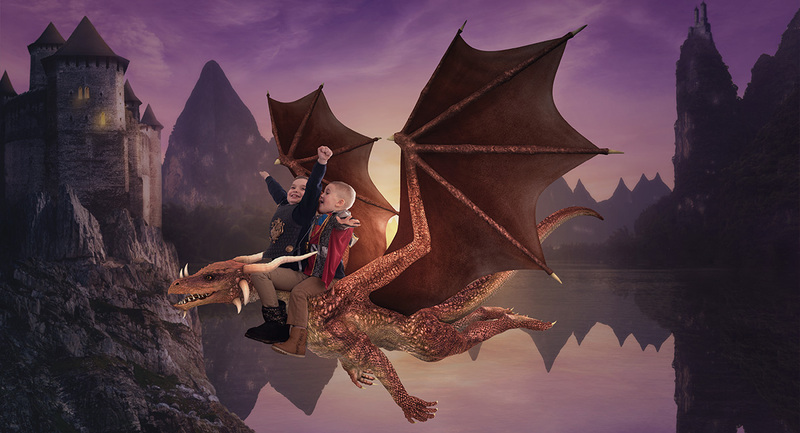 No, due to space and safety there will not be dragon models, instead children will sit on stools and be directed to look in the right directions using stand ins, just like in movies. We always encourage parents to join in to help children act out the scenes, this is very useful for younger children and makes it more fun. After the session I will contact you to arrange a viewing session. You will be invited to my home studio in Pontypridd to view all your images, select your complimentary 5×7 print and choose any additional products. Can I get an animated image? Yes, an animated image is included with collections 3,4,5 and 6. 2 animated images are included with collection 7. You can also purchase an animated image as an add-on when you purchase the digital files. Full details can be found here. Can I buy the digital files to print myself? Yes, you can purchase all digital files on a USB stick with printing rights. This is available as an add-on after you have purchased a collection. For example, if you purchased Collection 1 and a USB with all images the total would be £295. All pricing can be found here. Will I see the edited images at the viewing session? Yes, the images you see at the viewing session will be edited to include all the magical effects. After the viewing session I will carry out some fine tuning to purchased images to ensure they look their best. Do I have to purchase images at the viewing session or can I purchase them afterwards? You do not have to purchase images at the viewing session, however during the viewing session you will have exclusive prices that will not be available afterwards. Images will be kept for 30 days after the session if you would like to purchase them afterwards. After that they will be deleted. 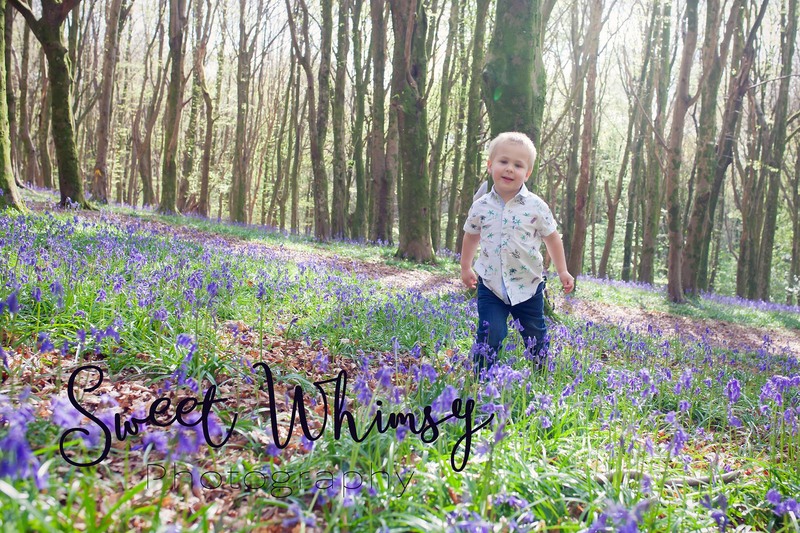 I don’t live in South Wales, how do I view my images? If you are unable to come to Pontypridd for your viewing session please let me know before the session so that we can arrange something. Images are kept for 30 days after the viewing session. After this they are deleted due to storage space. If you need extra time to purchase, a non-refundable deposit is required to keep the images. I want to Purchase a Collection but I need more time. Will you keep the images for longer? A non-refundable deposit is required to keep the images beyond 30 days. The deposit will be £20% of the chosen collection or £40, whichever is lower. Images will then be kept for 6 months. Do you have a question that’s not on the list? Contact me and I’ll help you out. A few weeks ago I had the pleasure of photographing a party promotion at Cariad Kitchen. If you haven’t been to Cariad Kitchen yet, give it a try. It’s a lovely child friendly cafe in Whitchurch and the food is amazing! Cariad Kitchen offer bespoke, intimate baby showers and first birthday parties, as well as pamper parties and disco parties for older children. 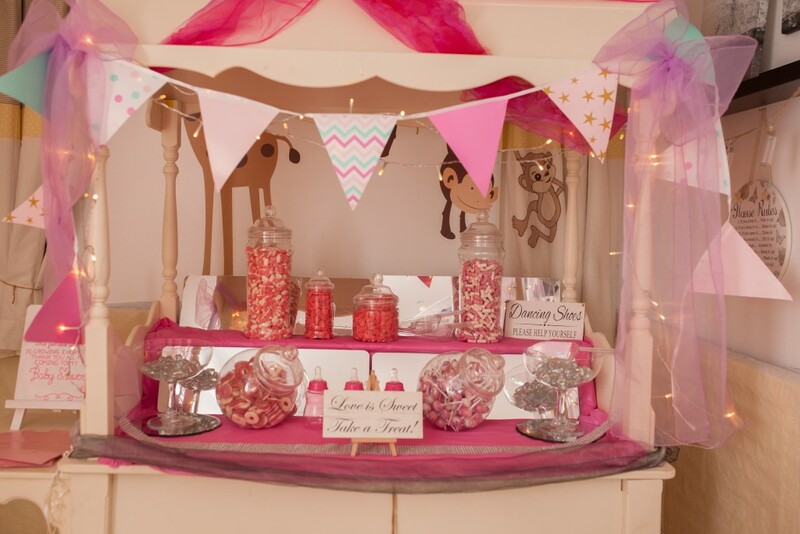 The children had fun at the disco and got to be pampered whist the grown ups got to try out the delicious party food and candy cart, yum! 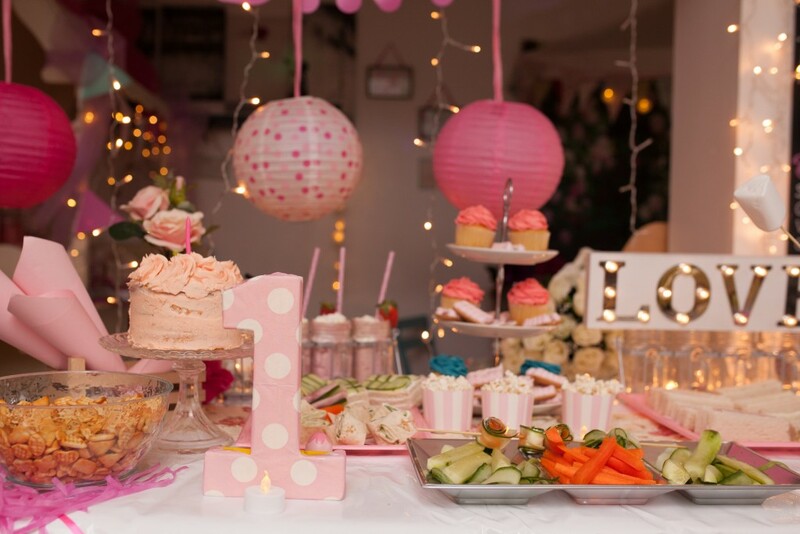 I’m so excited to announce that Sweet Whimsy Photography are now partnering with Cariad Kitchen and the amazing fingerprint jewellery company Little Tiny Prints to offer an amazing discount if you book a party at Cariad Kitchen. 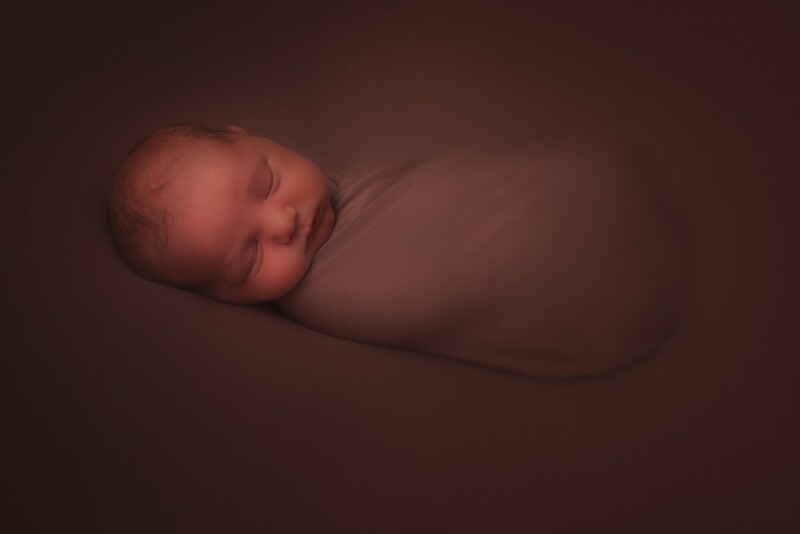 Book a baby shower, child’s birthday party, pamper party or disco package and you will also receive a voucher for a portrait session and 5×7 print with me, plus a beautiful piece of silver fingerprint jewellery from Little Tiny Prints. You will also get free party invites and £75 off the cost of a candy cart. 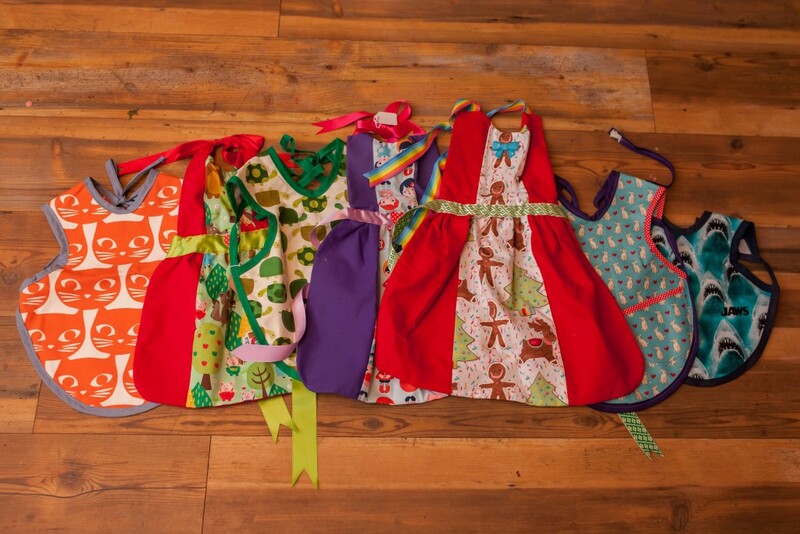 Plus, if that’s not enough to entice you, the first 5 bookings in March will also receive additional freebies such as these beautiful handmade children’s aprons and 6×4 acrylic photo blocks. 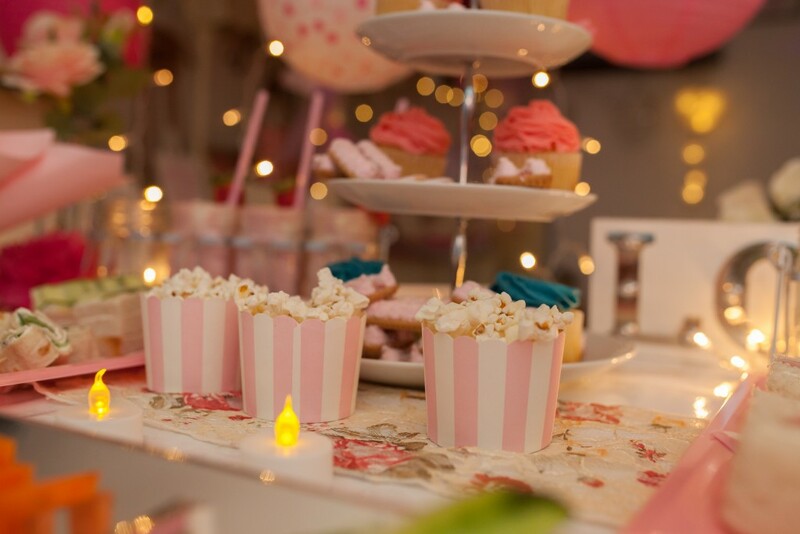 To book your party or for more information, contact Cariad Kitchen on 02920 614656 or fill in the form on the website.